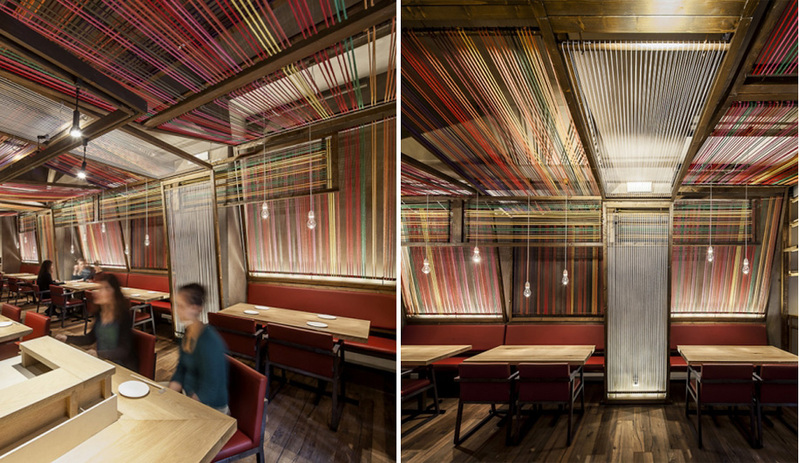 Following the success of his Tickets tapas bar and 41° cocktail bar, both in Barcelona, chef Albert Adria once again called on local firm El Equipo Creativo to create a restaurant interior. 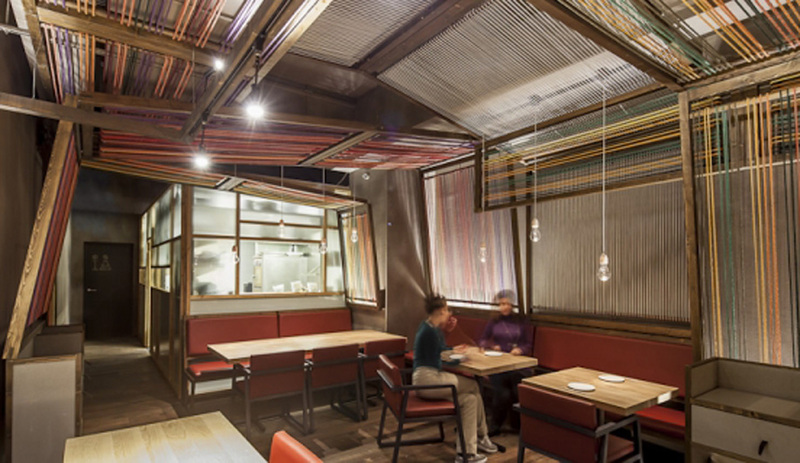 This time, it was for his foray into Nikkei – a fusion cuisine influenced by the Japanese diaspora in Peru. 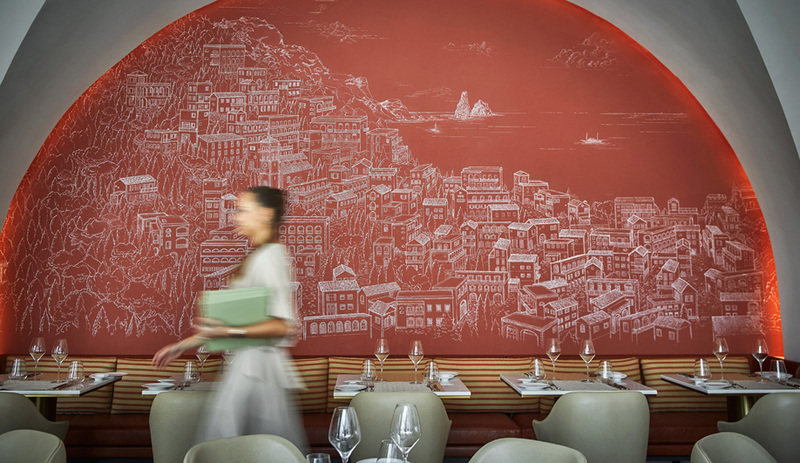 Housed in a long and narrow space in the Sants-Montjuic neighbourhood, Pakta is divided into three sections. At the entrance is a sake and pisco bar that’s made from a 3D framework, reminiscent of scaffolding, that serves as shelving. 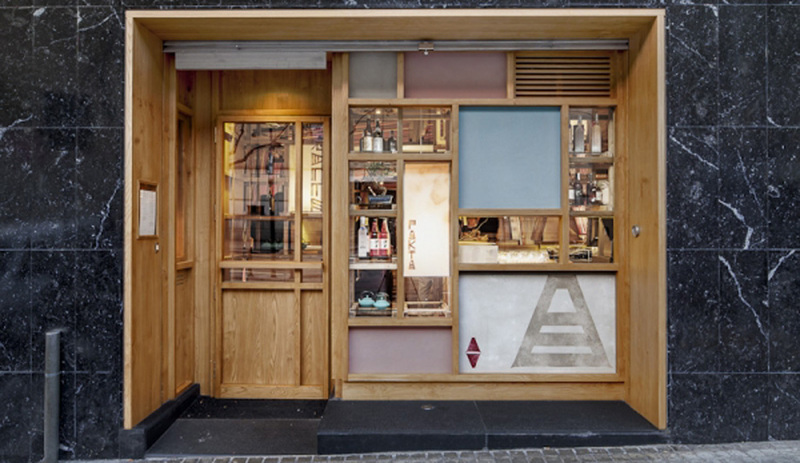 The bar is set right up against the facade, where discreet windows catch the eyes of passersby by framing traditional Japanese ceramics and beverages. 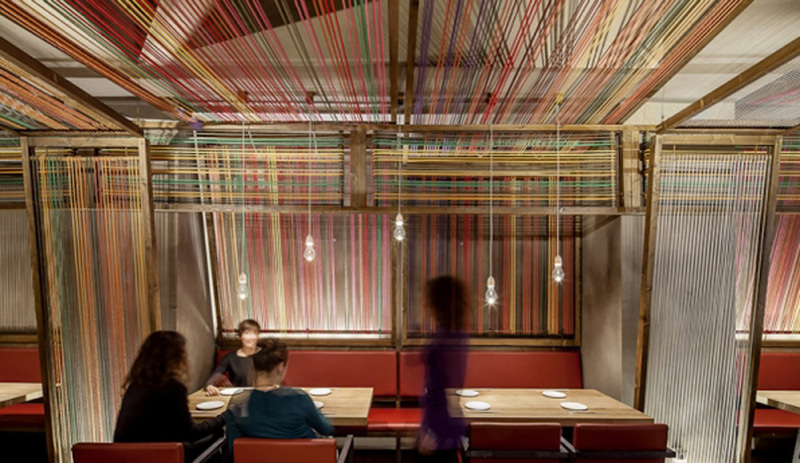 In the dining room, the firm boosts the Latin flavour by inserting a second interior skin based on the structure of the Peruvian weaving loom. 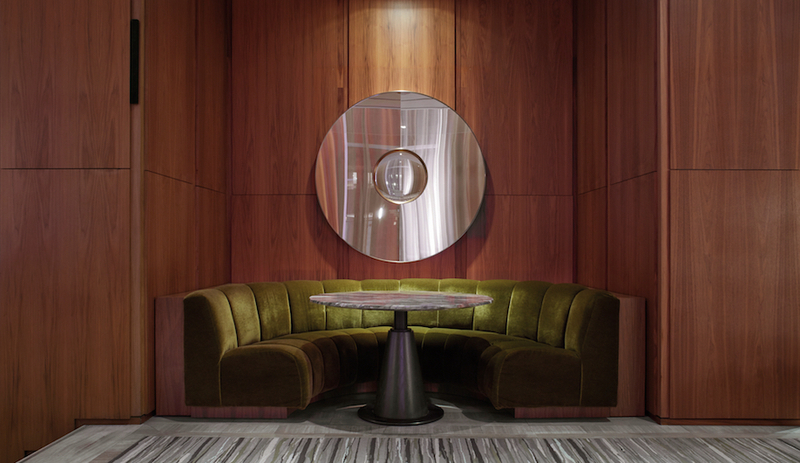 Some empty, several placed at varying heights, these wooden panels create dimension and cozy nooks. Threaded with coloured cotton cloth reminiscent of traditional folk dress, they offer intense patches of reds and golds as well as serene clusters of greens and browns. They also contrast against the sushi bars – three plinths made of marble from Novelda, Spain. At the very back, a glassed-in box contains the kitchen, allowing patrons to observe the chefs at work. 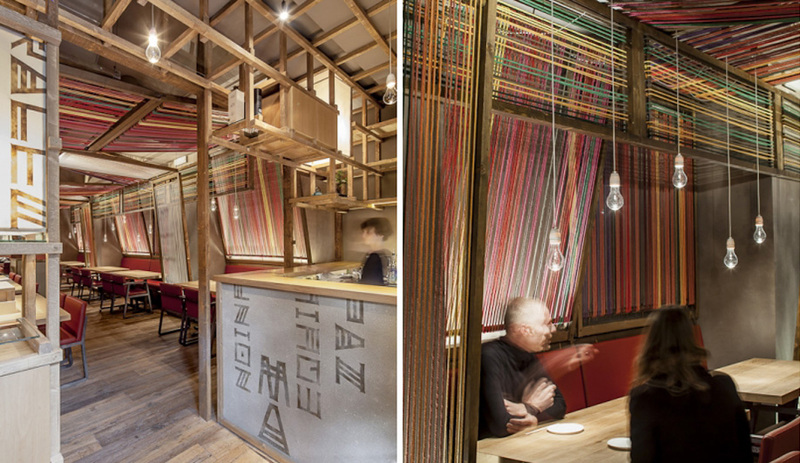 The overall aesthetic creates a tension between the colours of Peru and the austerity of Japanese taverns. 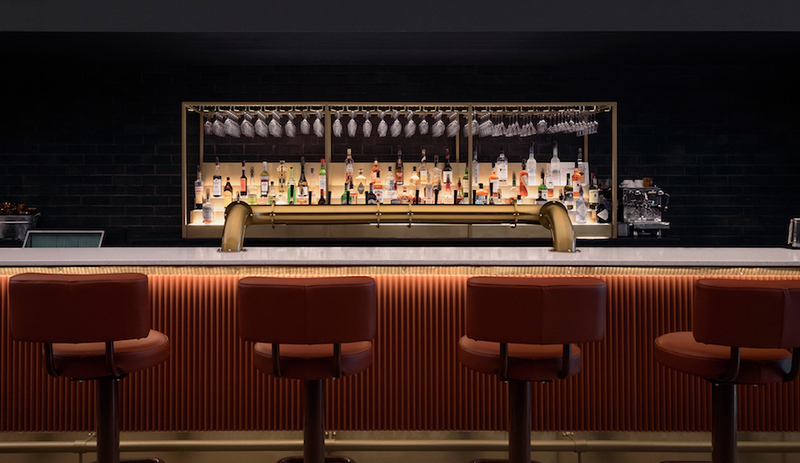 While the bars, kitchen and furnishings are understated – both in material and form – the chromatic interior draws its inspiration from the colours, traditions and ingredients native to South America. 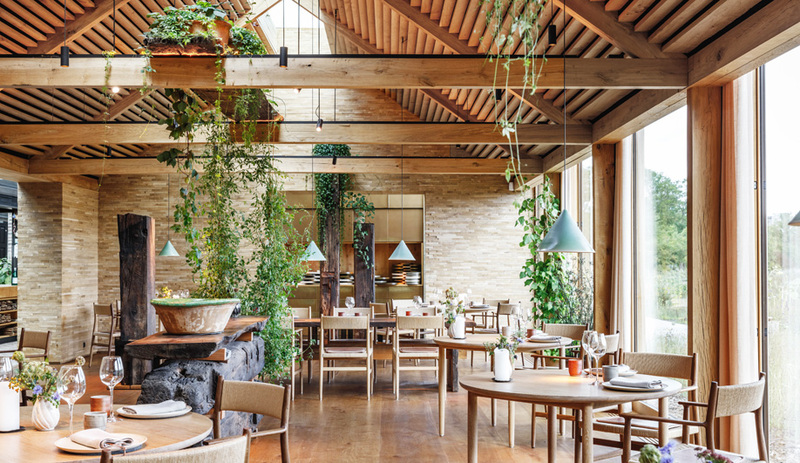 Lauded as one of Barcelona’s biggest restaurant openings of the year, Pakta proves fusion food – and aesthetics – can be successful.